This article goes hand in hand with our Common Mistakes feature, as today we would like to discuss a reality that a lot of sports betters don't want to accept: you are not good at picking ALL sports. Don't get angry, it's nothing personal--everyone is in the same boat with you. All sports betters, from the beginner to the established professional, have their strong and weak sports. It would be impossibly time consuming to be completely informed in all sports, and there are likely sports which you enjoy more than others, so you are likely to know more about them to start with. Keeping that in mind, we offer this little piece of advice: focus on what you know. When we say peer pressure, we're not referring to some kid offering you your first cigarette or puff of a joint. We're referring to the pressure that comes from a big event that everyone is talking about--the Super Bowl, the Daytona 500, the Kentucky Derby, whatever. There will always be big events in the world of sports that generate a lot of hype. Just because everyone is talking about it and offering their opinions doesn't mean you have to bet your money on it. Every year I see people betting a huge percentage of their bankroll on the Super Bowl or BCS Championship just because it's a big event. Don't fall into this trap--it's just one game, like any other. If you don't have a strong opinion on a game or event, you should only bet a small amount just to keep it interesting, or not bet anything at all. Most people only check the account statement or bet history at their sport book when they are winning. It's normal to not want to face negative things in life, especially when it comes to money. This is a mistake, however--these details are the keys to your success. You have to be honest with yourself if you want to be successful over a long period of time in this game. Review your bet history and break everything down into categories--sport by sport breakdowns as well as your records betting on spreads, totals, moneylines, teasers and parlays. Some of the details won't be pretty, but this is actually a good thing: it will tell you what you need to stop doing. If your college football record is 16-33, then as much as you may not like it, you need to stop betting on these games and focus on your stronger sports. I understand that this is easier said than done, but you will thank me later if you implement this strategy. 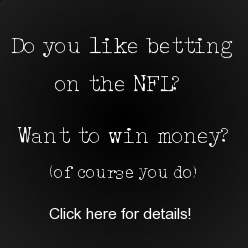 Most of us like to think that we know it all when it comes to sports and sports betting. It's an ego thing and I completely understand. However, the cold reality is that we can't all be sports gurus, and the truth is: we don't have to be. Everyone always wants the hot tips, the inside information for every possible event. The goal here is to make money, not to Stump the Schwab, so who cares if you're not particularly good at picking NCAA Football games? After you complete your honest self-review, identify your strong sports and stick to them. Maybe some small bets here and there on other sports if you absolutely need the action, but you should seriously consider sticking to your strong sports only. Your bankroll will thank you for it.